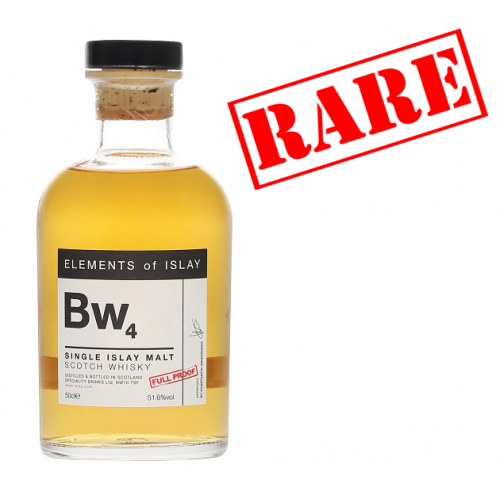 From Speciality Drinks' Elements of Islay range comes the 4th release of Bowmore, the Bw4, an independently bottled single malt scotch whisky from a famous Islay distillery. 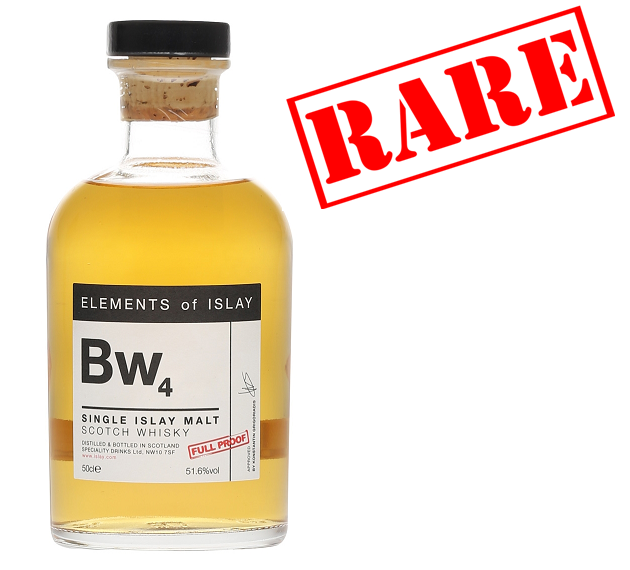 Full proof at 51.6% vol, the Bw4 was distilled at Bowmore Distillery, Islay and bottled by Speciality Drinks Ltd. Nose: Delicious chocolate and refreshing sea breezes. Give it some time and fruit emerges, tropical fruits. Lime, cocoa and citrus notes of orange. Palate: Soft peat smoke. Slightly savoury elements such as salt, fresh pepper, olive brine. After a while they fade and give way to spice and more fruit, specifically pears and citrus. There is a hint of spice from cardamon and star anise. Finish: At first, notes of baked pears as sugar, chocolate and lime then finish things off nicely.